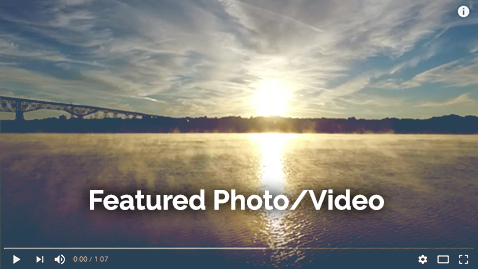 BBG&G Advertising of Campbell Hall, NY, has been recognized with a Gold MarCom Award for its work on this new Walkway Over the Hudson website. The MarCom awards, sponsored by the Association of Marketing and Communication Professionals, recognize excellence in concept, direction, design and production of marketing and communication material. It is one of the oldest and largest creative competitions in the world. This year, more than 6,000 entries from marketing and communication departments, advertising agencies, PR firms, design shops and production companies were reviewed form around the world. BBG&G Advertising won a Gold Award for the Walkway Over the Hudson website, which was created to give the viewer an interactive overview of the park and surrounding neighborhoods with a 360-degree map. Formed in 1997, BBG&G Advertising is a full-service marketing and public relations firm serving a broad range of industries, including tourism, healthcare and banking, in the greater Hudson Valley area. BBG&G is a Certified NY State WBE (women-owned business entity). For more information, call (845) 615-9084 or visit www.bbggadv.com.